I recently received a deluxe sample of It Cosmetics Hello Lashes Clinically Proven 5-in-1 Mascara when I ordered the brand's Luxe High Performance Eyeshadow Palette (review on that coming soon). 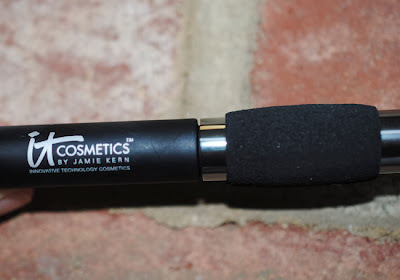 See what my first impressions of this mascara are after the jump! It Cosmetics Hello Lashes Clinically Proven 5-in-1 Mascara ($24 full size) is the brand's only mascara. Off the bat, I like that this mascara is paraben-free like most, if not all of It Cosmetics' products, and it's a bonus that it's fragrance-free as well. I've tried a few high end mascaras that smelled like paint — Lancome, I'm looking at you! It's also interesting that the brand touts the mascara's lash enhancing properties. Hello Lashes is also phthalate, and sulfate free. 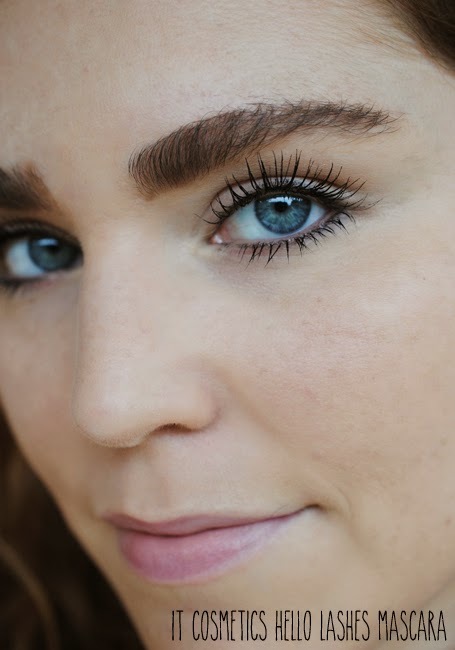 Why did IT Cosmetics create this product: To finally give women a product for their lashes that is not only clinically proven to increase both the volume and length instantly, but is also packed with lash-loving ingredients and a cutting-edge lash-enhancing serum. 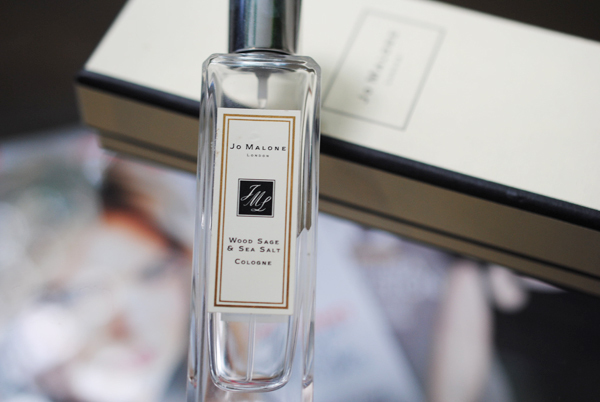 This 5-in-1 natural formula is also paraben-free, fragrance-free, and sulfate-free. The results are phenomenal, it's simple to use and it's a product that takes the place of 5 lash products, all in one innovative component. What is it: Developed with leading plastic surgeons, Hello Lashes Clinically Proven 5-in-1 Mascara revolutionizes and takes the place of 5 products: 1) Your natural volumizing mascara, 2) Your conditioning, hydrating lash primer, 3) Your lash enhancing serum, 4) Your lash tint and 5) your lash comb/curler! Hello Lashes Clinically Proven 5-in-1 Mascara offers the blackest of the black color that lasts all day and never flakes or fades. The triple brush lengthens, curls and separates lashes while the innovative Magic Wand Lash Ball Detailer tip is designed to reach every last inner and outer corner lash. Here's a close up of the "innovative Magic Wand Lash Ball Detailer tip"
I was really impressed at the length and volume I got from wearing Hello Lashes, and loved how the mascara separates each lash for nice definition. The formula is not especially wet or dry. 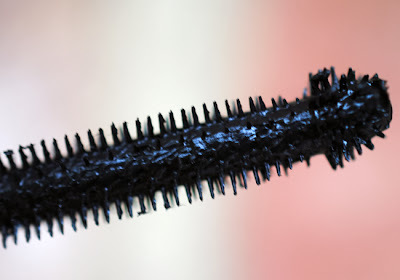 It's not the blackest mascara I've ever tried, but it's pretty black. It gives a similar lash look as Tarte's Lights Camera Lashes mascara, but Hello Lashes knocks Tarte out of the park with the lash separation. 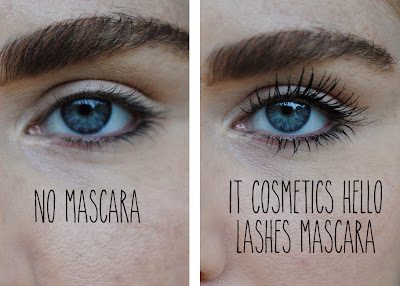 I prefer pretty defined lashes versus thicker lashes, but I know people like different things. The Lash Ball Detailer tip was great to grab the inner and outer little lashes which are always hard to get. 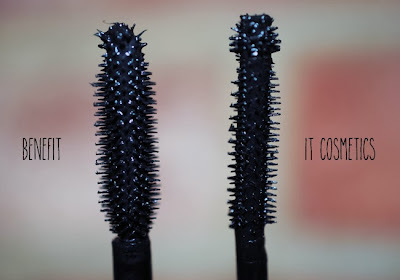 The most similar mascara in terms of the wand style is Benefit's They're Real, but They're Real's ingredients include sulfates and BHT, which is a toluene-based ingredient used as a preservative that I am trying to avoid. 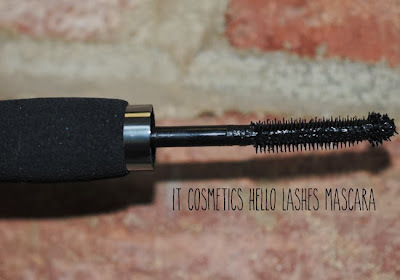 Since this is my first time using this Hello Lashes, it's too soon to tell if the built-in serum has improved the appearance and health of my lashes, but I already know that I'll definitely be buying a full-size of this mascara when I run out of the deluxe sample! You can buy It Cosmetics on Ulta.com, QVC.com, and on their website. My next post will be a full-face look featuring Hello Lashes, so be sure to check that out! I, too, am a big fan of the neutral-but-softly-defined-eyes-and-bold-lips look, and I favor tightlining, with long lashes, to set off this look. So I'm interested in this product. Lately I've been using It Cosmetics' tightline mascara primer under Blinc mascara, and it works well, but some extra length would be great. Do you think I could use the primer under "Hello, Lashes" without entering Clump City? I think so, as long as you remove any excess mascara primer, then you should be set. That's my experience with mascara primers anyway. I hope it works out!